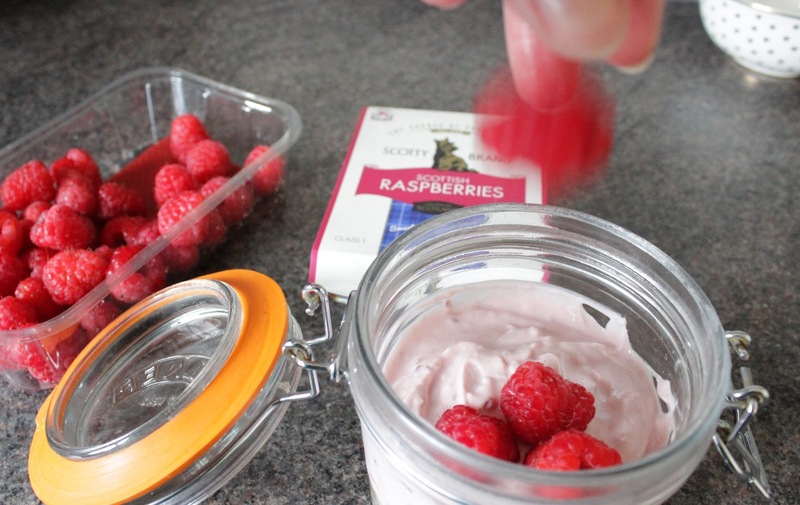 Today's #ScotFoodFort theme is breakfast - and as I mentioned back in my day one Scot Food Fort post, I'm using Scotty Brand Scottish raspberries, which are available until mid September so if you want to try them I'd run to your local ASDA or Morrisons and hope they have some hanging around as they'll all be gone soon - and trust me, with the sweet flavour and soft texture, they're worth the run. 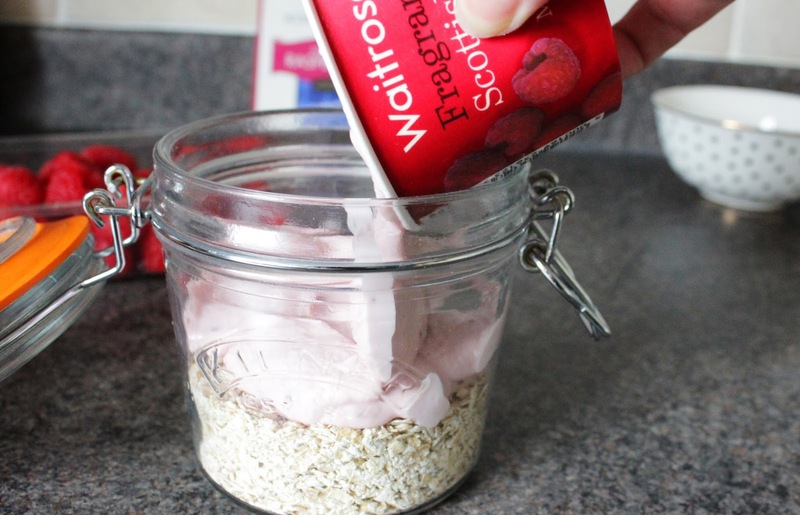 I'm also using Scott's Porridge Oats, or PORAGE Oats if we're going with what the box actually says. 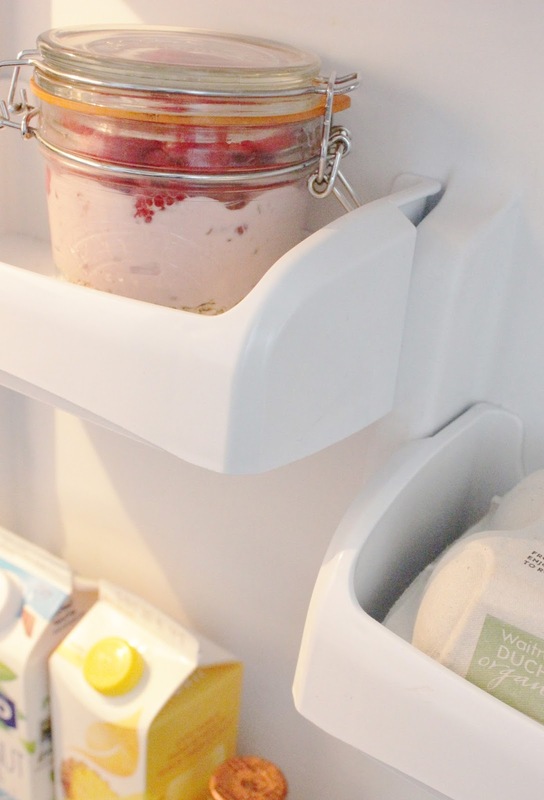 Where does Porage come from? Well my friends, as the Scott's Oats website informed me the word is a mixture of the old Scottish word 'Poray' and the French word 'Potage'. Auld alliance and all that. And also they wanted to differentiate their brand of porridge from the others on the market. 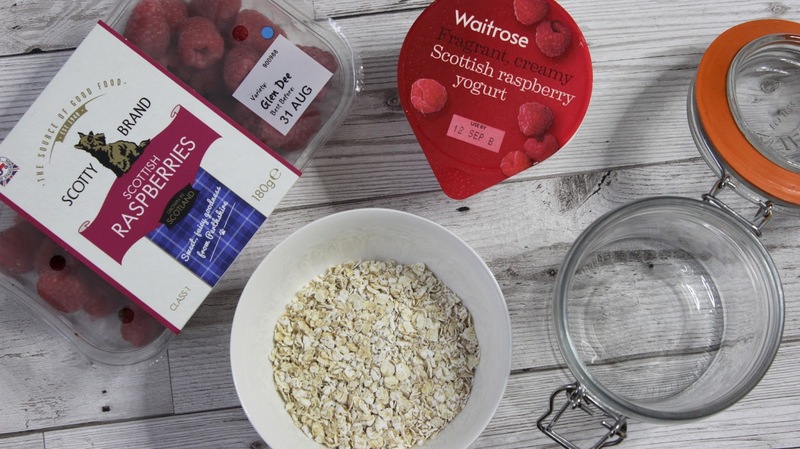 The last ingredient in this super simple breakfast is a Scottish Raspberry Yogurt. 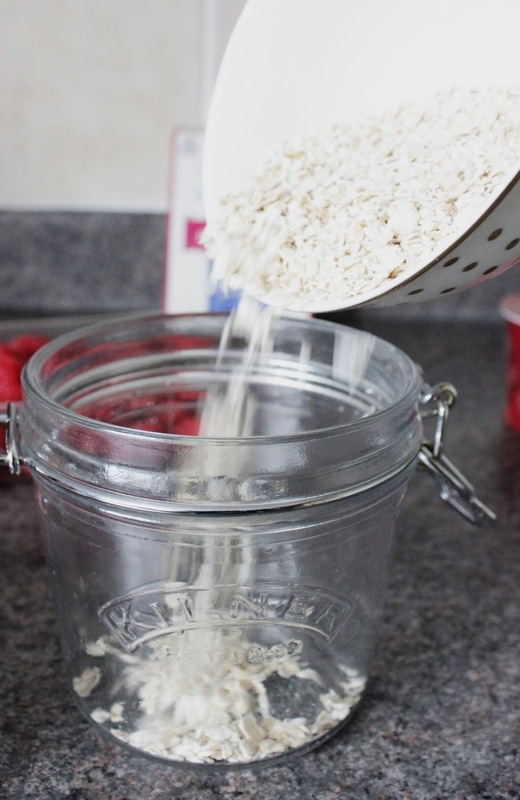 Overnight oats are so simple it seems ridiculous to even offer instructions - but basically you put your oats in (I used 40g), add your yogurt and then your fruit, close over your jar and put it in the fridge for the next morning. 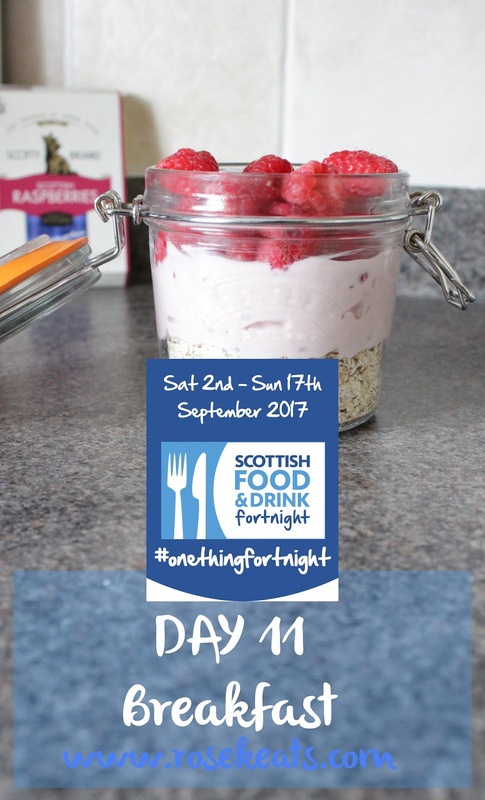 There are many flavour combos to be had with overnight oats - but this one is my favourite, and I'll be sad to see the Scotty Brand raspberries disappear from stores till July. Though, given my birthday is in July, it'll almost be like a little bonus birthday present from nature that these raspberries are back in season.